One of the best parts about coming home after a long day at work or school, or whatever, is plopping down on the couch and cuddling or spooning a pillow. 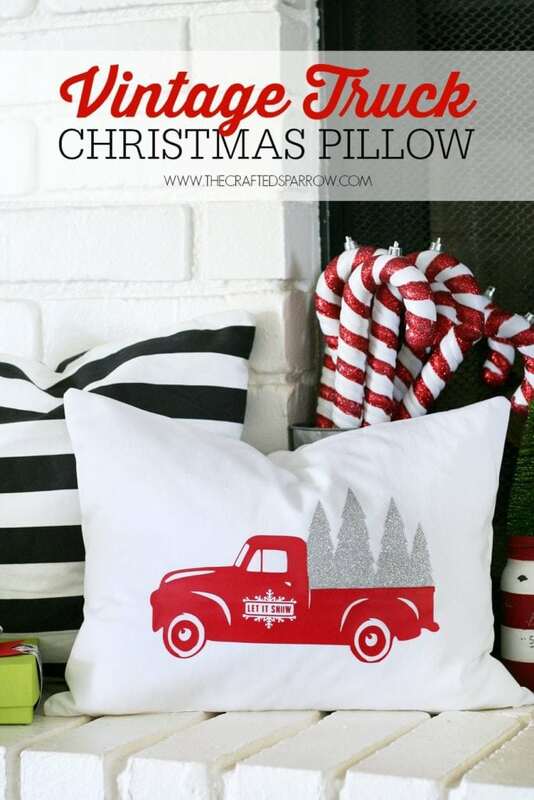 This is even better during the holiday season, when you know the pillow is potentially holiday-themed. 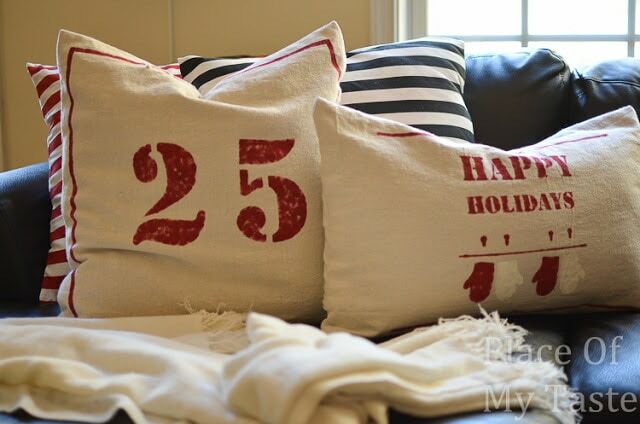 If you’re in the same camp, you’ll love the 27 DIY Christmas pillows we’ve picked out for this week’s post. In the DIY world there’s a big division between those who love “no sew” projects and those who don’t. On the one hand, they say if you really want to get into DIY, you need to know to sew. The other camp says that there are no rules and anything goes. That’s where we are. Do whatever you want, and if that involves not sewing, great. 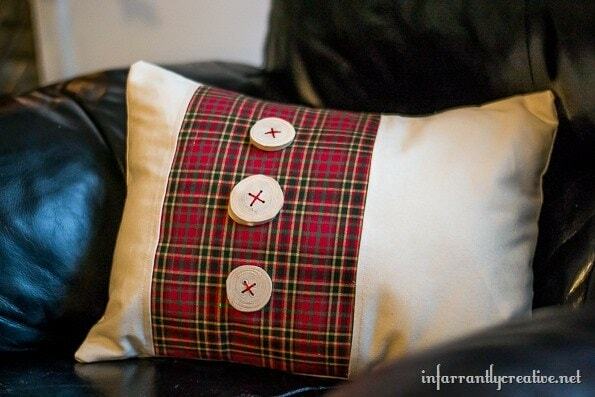 These pillows look awesome, sewing or not! It doesn’t get more holiday-ish than poinsettia, and there’s a rumor that these plants are grown (and were created) for the sole purpose of being used for Christmas decorations. We’re not scientists so we don’t know if this is true, but it seemed like something we should mention in passing. There are few things as hot right now as deer heads. And we don’t mean actual deer heads, the ones full of blood and brains and neurons and all that stuff. We just mean the decorative kind. 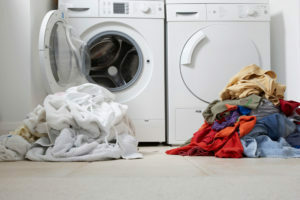 It keeps things cleaner and simpler, and you don’t have to explain what happened to your loved ones, or why your house perpetually smells like deer blood. 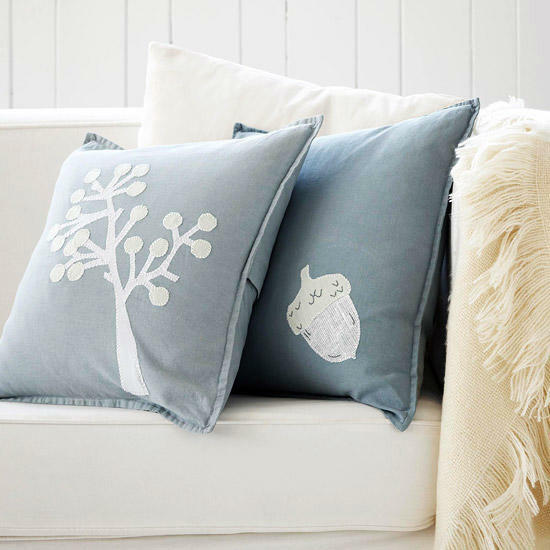 Some super cute pillow ideas from 320 Sycamore. 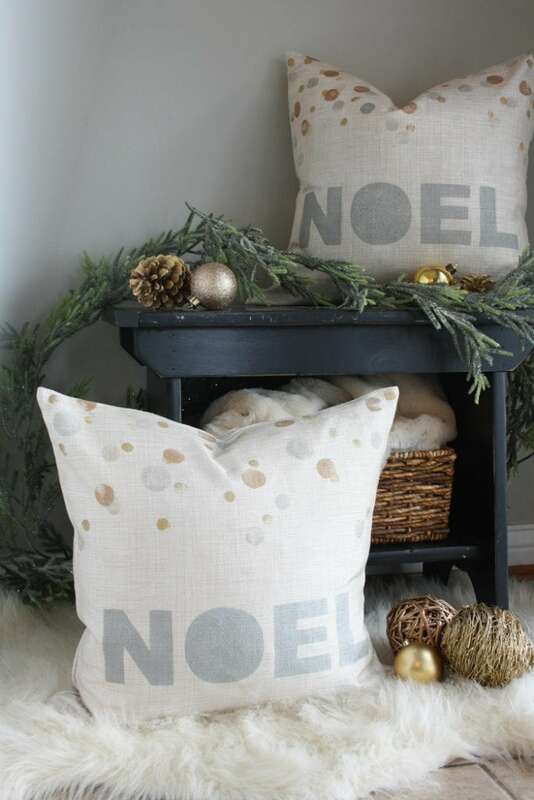 These little guys scream “I LOVE CHRISTMAS!” and in our house, that’s a scream that starts getting screamed sometime around the day after Halloween, so we’d really get our money’s worth out of this DIY pillow project. 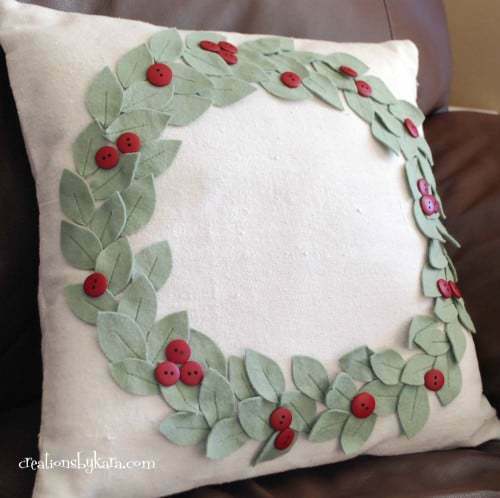 We love the contrasting designs of this DIY Christmas pillow, and we like the fact that you can change up the fabrics to make something more traditional, like the one above, or you could go a little crazy and use something more outlandish. That’s the beauty of DIY! Sure, deer heads are popular, but that doesn’t mean you have to ignore the rest of the deer’s body. 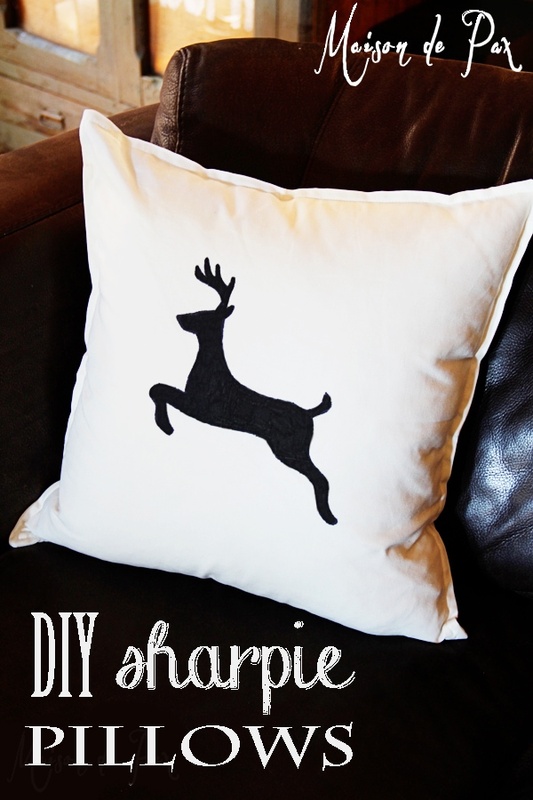 This great sharpie-based project will give you a Christmas pillow with an entire deer figure, so there won’t be any question as to what animal you’re dealing with. And some people, well they just want to know these things for sure. 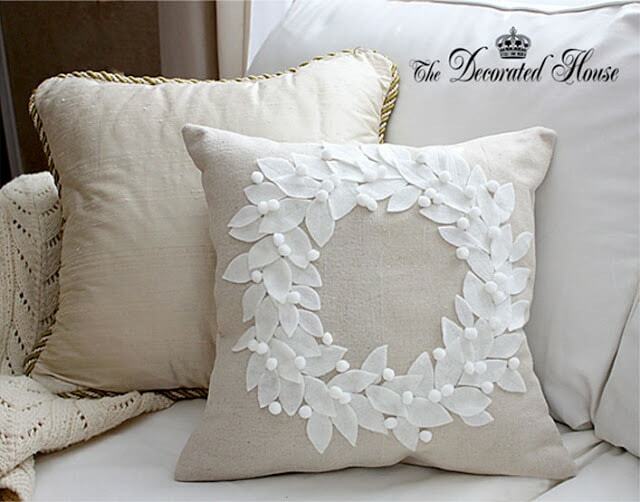 Another gorgeous flower-based pillow, this one from simple details looks like it belongs in a high-end pillow store or somewhere like Pottery Barn, Crate & Barrel and the like. 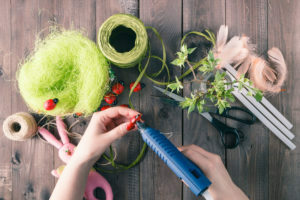 Save your money and enjoy the DIY journey by putting it together yourself, and then watch as friends and family pester you to let them know where it came from. 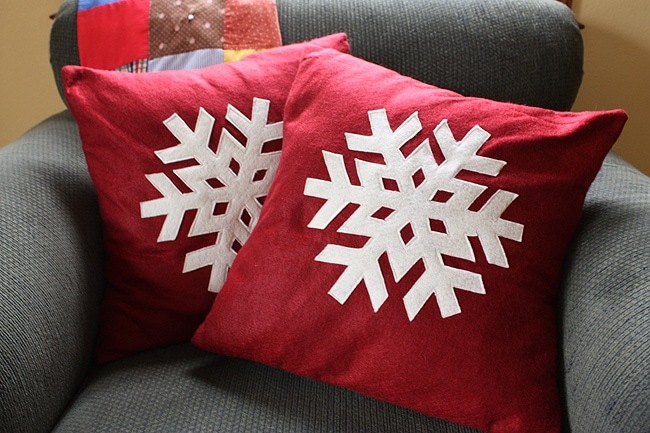 We love the colors and contrast of these pillows, and the simple but still detailed design of the snowflakes. And if you really want to get crazy, you could make each snowflake just a little bit different, which would make them more scientifically accurate, if you’re into that sort of thing. Let’s be honest. 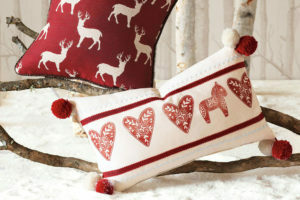 We’ve all forgotten what day Christmas falls on, so with this pillow, you’ll never have an excuse or reason to forget. 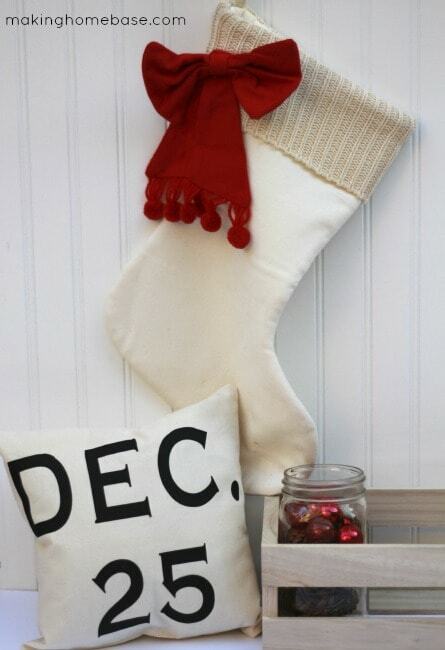 The only thing you have to remember is to put out the pillow every year, so make sure you do that sometime prior to December 25. 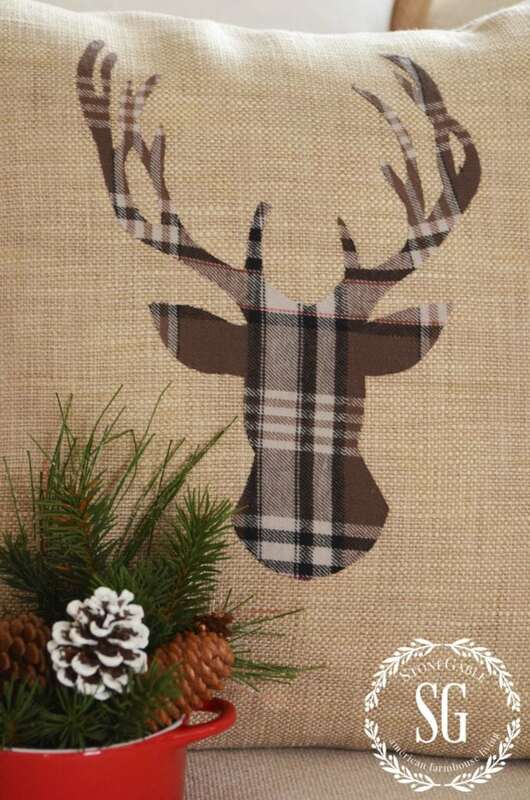 When deer heads alone don’t cut it, add some spice to your DIY pillow with some plaid fabric. 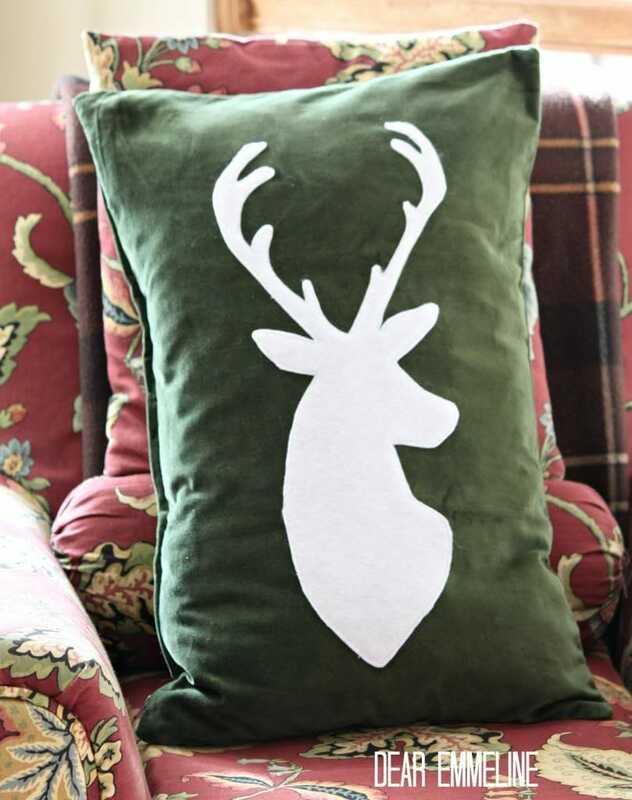 This deer head pillow tutorial will show you how to put all these elements together in a way that’s tasteful and capable of improving your quality of life by at least 2-3%. 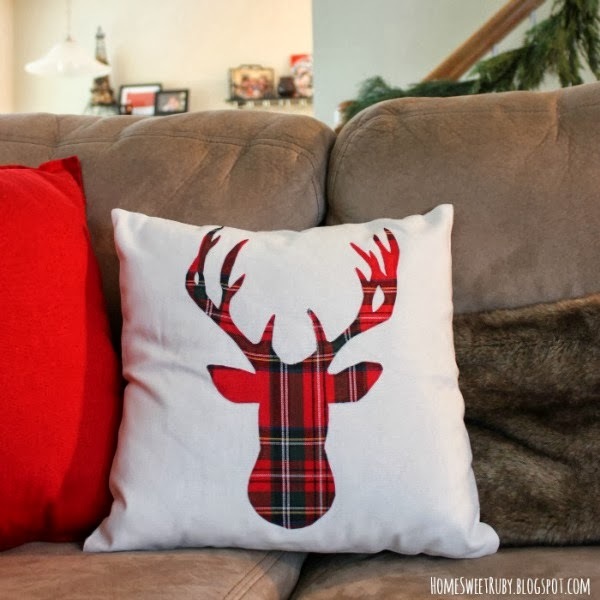 If you didn’t like the first three deer pillows we featured, maybe you’ll like this one. If you don’t like this one, then it might be time to consider that this might be about you and not us. Not saying you’re projecting, but it’s just something to consider is all. We believe this is a great project, whether you’re into it or not. When you see the way the idea room puts this together, you’ll be a believer too. Not to be confused with the belieber pillow, which we decided didn’t make the cut of this post, but may appear in a future article. The Lily Pad Cottage has a wonderful pillow project that has the perfect mix of cheery handmade looks and professional looking pillow-ness. 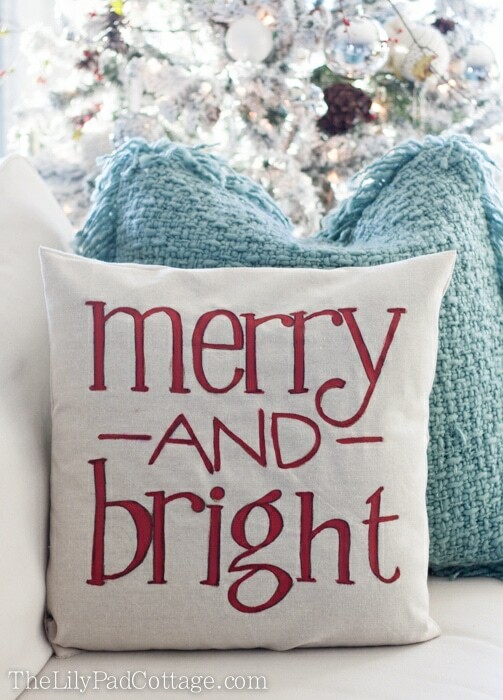 You could also use any of your other favorite Christmas sayings, but this one captures so much Christmas spirit in one pillow that it actually might split a seam. Just kidding, it’s good quality. 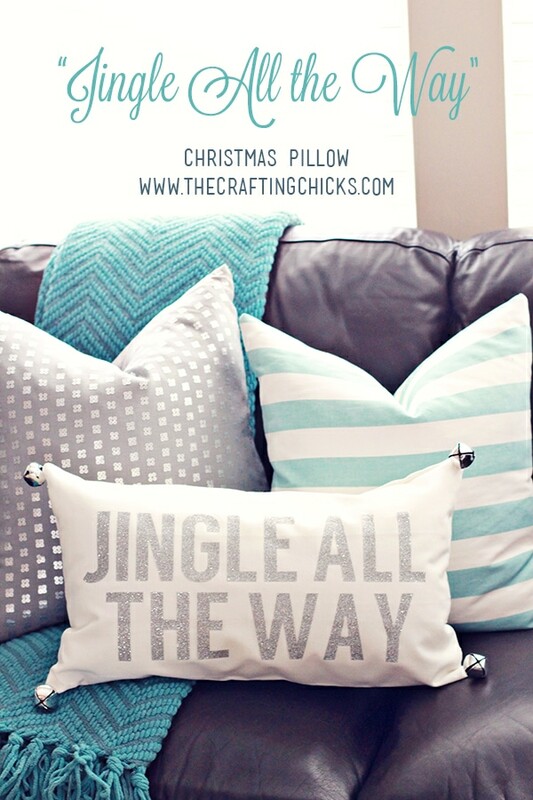 Great little pillow project from The Crafting Chicks. Funny anecdote – the saying “jingle all the way” was originally “jungle all the way” before it was adopted by mainstream America. Until then, it was popular and common only in remote areas of South America, where “jungle all the way” made more sense. Once it got big in America, the word changed to make more sense for middle class America. 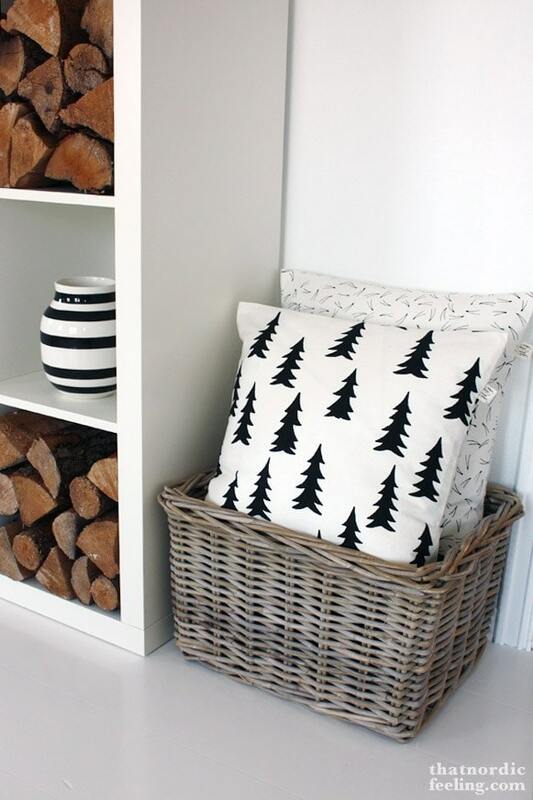 Consider this one of our favorite Christmas pillows. It’s not over the top, you could throw it out as soon as fall hits, and it has buttons and plaid. Does it get much better than those things? If it does, we don’t want to know about it. 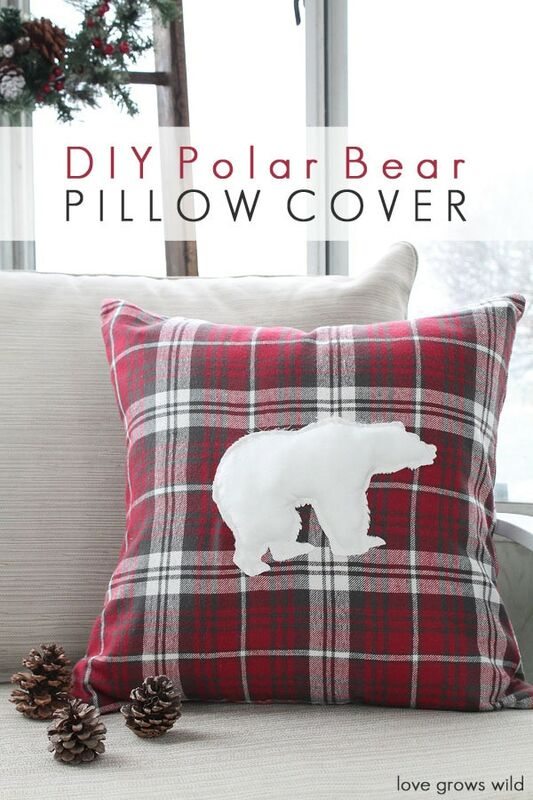 This is one of the cutest projects because like the above pillow, it’s not over the top. 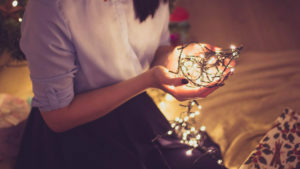 The Christmas spirit is understated and gorgeous, and it would fit in with a clean modern house just as well as your aunt’s house who still decorates using wood and sunflowers. 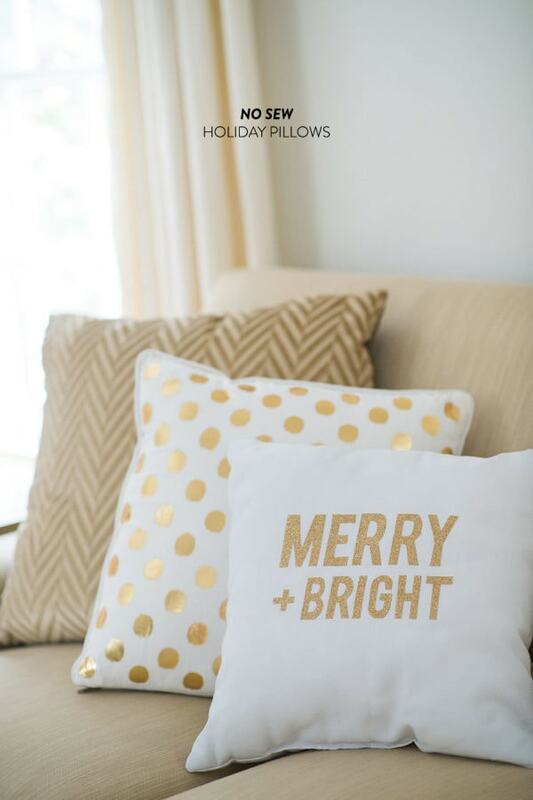 These are super cute pillows and our great grandma has a similar pillow scheme going on in her living room whenever we visit during Christmas. That’s one of the highest compliments we can give a DIY project. 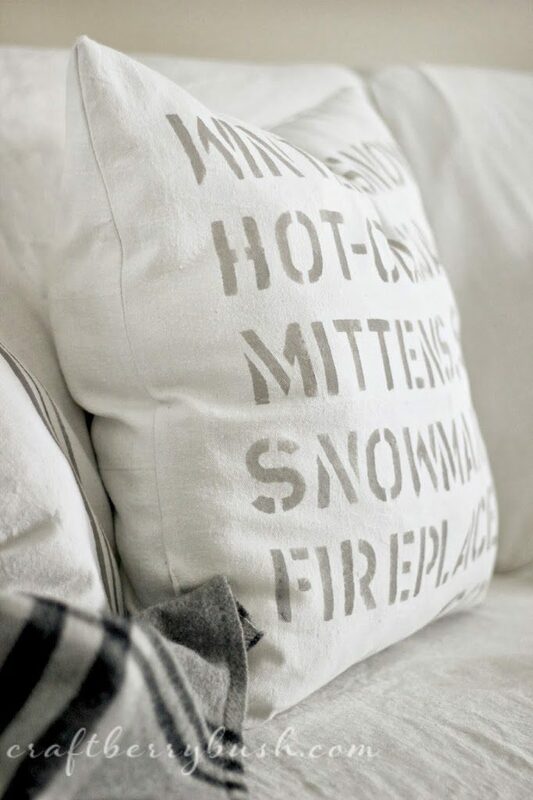 This pillow, if purchased at a store, would cost somewhere between $100 and $140 per ounce. And if that’s true – and we have no reason to think it’s not – that makes this DIY project not only beautiful and awesome, but also very budget-friendly. It’s a win-win situation. If the above “jungle” anecdote is true – and we have no reason to believe otherwise – then this pillow, if found in remote parts of South America, would read “Jungle.” Think about that for a hot minute. There are two kinds of people in life: those who shop at Pottery Barn and those who make DIY projects that are Pottery Barn rip-offs. 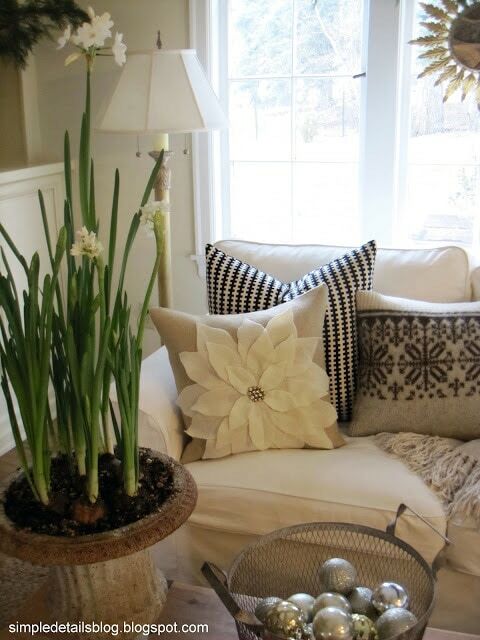 Sometimes less is more, and that’s the beauty of these pillows. With simple patterns and clean backgrounds, they are understated, yet functional and beautiful all at once. Well done, pillow masters. Well done. 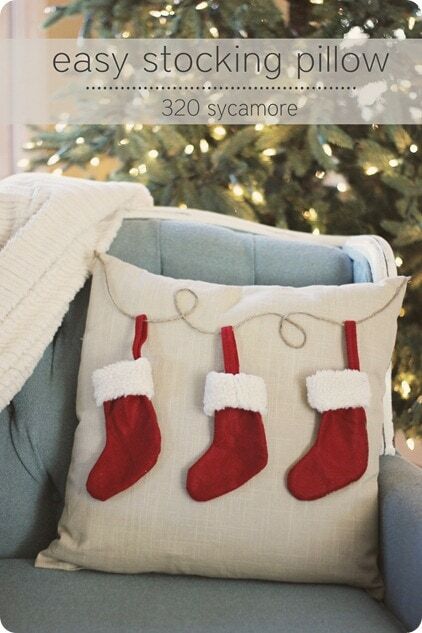 Pillows, or sacks of Christmas mail? 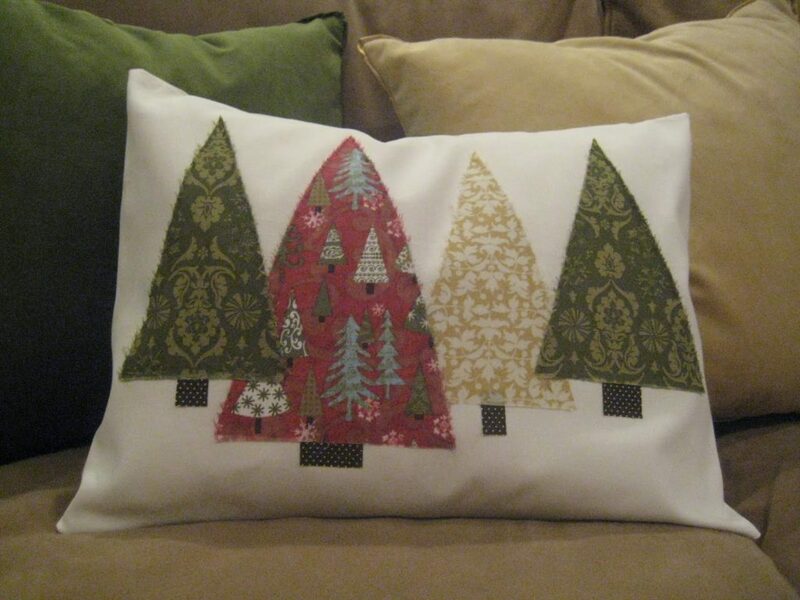 Well, turns out they are pillows, but they have the look of Christmas mail sacks. That may be on purpose, or it may be a beneficial side effect. Who are we to decide? Who are we at all? Christ almighty, it’s about time we get another animal in here! 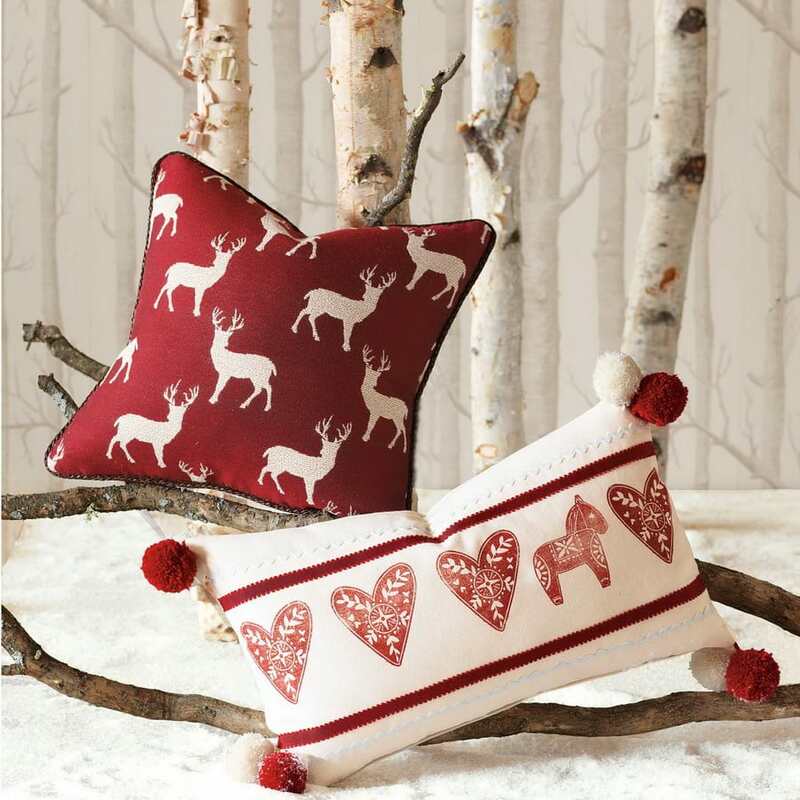 Just when it seems like the deer is dominating the Christmas pillow game, we see something refreshing in the plaid and polar bear pillow from love grows wild. Thanks for pushing the animal boundaries beyond the norms and getting real with this animal pillow stuff. Sure, this is a paid item. But what’s stopping you from making a similar stencil and doing it yourself? Nothing, except for yourself. Or maybe your time, budget, etc. 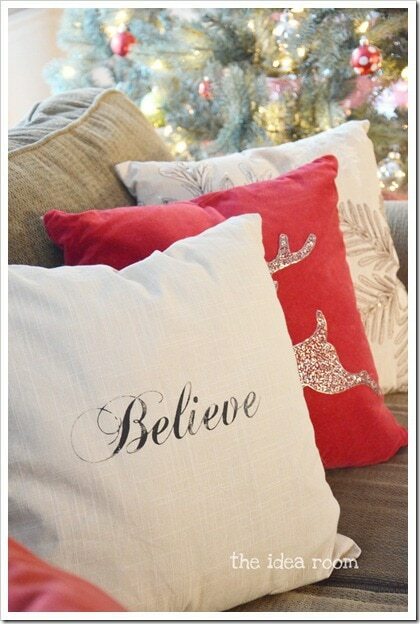 There could be a lot of things stopping you, so it depends on how important it is to you to make Christmas pillows. If it’s a priority, you’ll make it one. If we saw this truck rolling down the street, we’d flag them down and ask how much for the silver Christmas trees? If the driver gave us flack, we’d follow him to wherever he was going and if he tried any funny business, we’d call 911 and pretend to report a drunk driver. Hopefully it doesn’t come down to that though. Sometimes you need your pillows to be cute and clever, and sometimes you want to just get to the damn point. 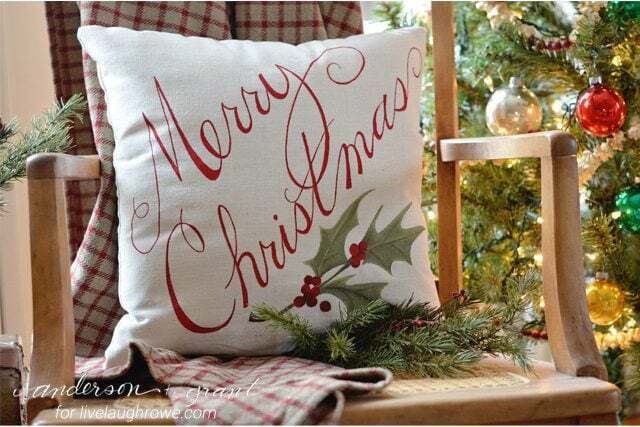 With this pillow, you can tell people Merry Christmas and not have to say it directly to them, saving you time and precious breath. Another win-win. Noel is french and we used a variation of it for one of our twin girls’ middle names. 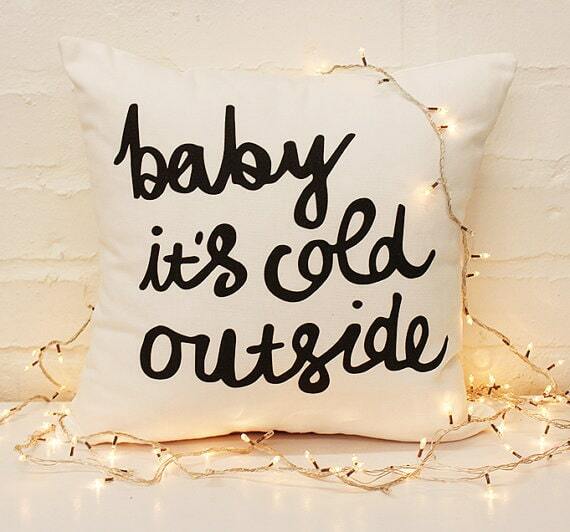 Do you need any other reason to make this pillow? Side story. When I was a kid, we had a little NOEL wooden set with individual letters, and I would switch the letters around to say LEON and then the running joke was that this guy Leon would be breaking into the house every year to kind of check out what presents we had and maybe take the cream of the crop. 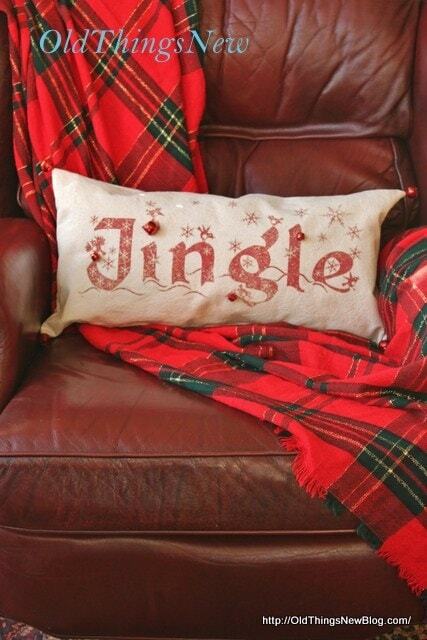 What Christmas pillow are you snuggling up with this year?